And what made it so special. For as long as I can remember, G&apos;s talked about how much he has wanted to visit Japan. I&apos;d always been open to it, though the idea of being so far away in such a bustling, busy city like Tokyo intimidated me. I guess you could say I prefer quaint cafes on cobblestone streets and leisurely walks through tranquil gardens. So as soon as we booked our trip, I knew I had to go a bit out of my comfort zone. One friend likened the experience to "visiting a different planet" (which really calmed my nerves) and that I simply needed to embrace each situation for what it was. I&apos;m happy to report that I did just that. 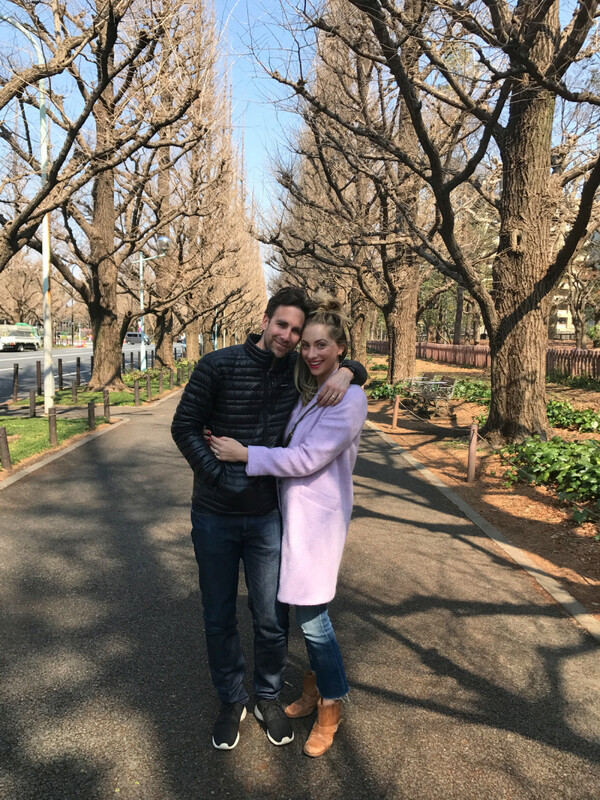 Our trip to Japan exceeded all of my expectations and we had an incredible time. Here&apos;s a glimpse of some of the things we learned, our favorite moments, and what we would have done differently. 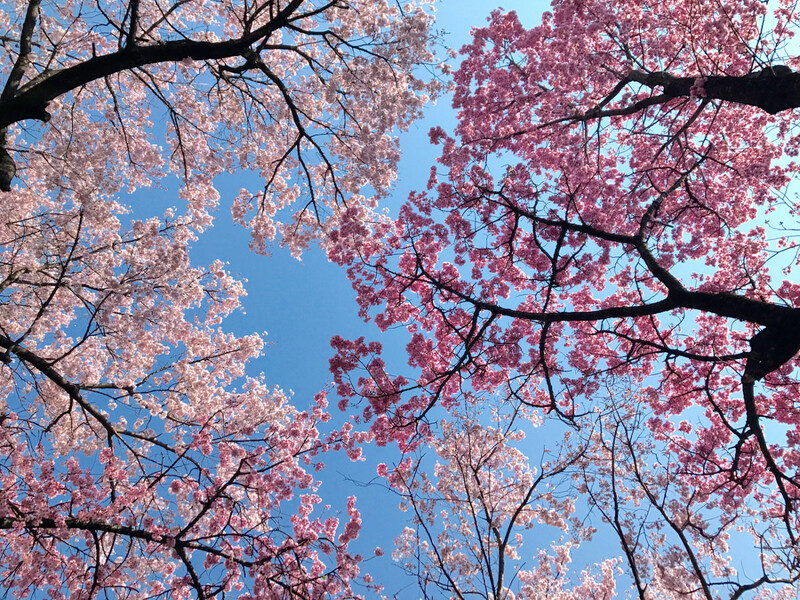 Cherry Blossoms. We arrived juuuust before the cherry blossom season really took off, but we were still able to see some beautiful trees around the city. 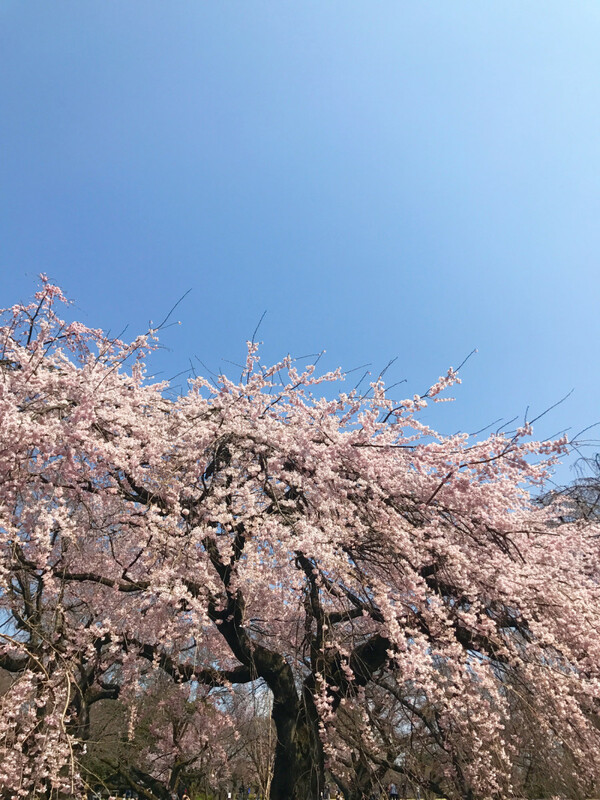 On our first non-rainy day, we walked over to Shinjuku Gyoen, a 144-acre park where we sat by a lake and enjoyed one of the rare sunny days of the trip. Cat Cafés. As a surprise to no one, we visited a cat café almost immediately upon arrival (they handed out fuzzy cat ears, which I promptly placed on my head, only to realize I was the only one wearing them). There were places for visitors to sit and little perches for the cats scattered around the room. 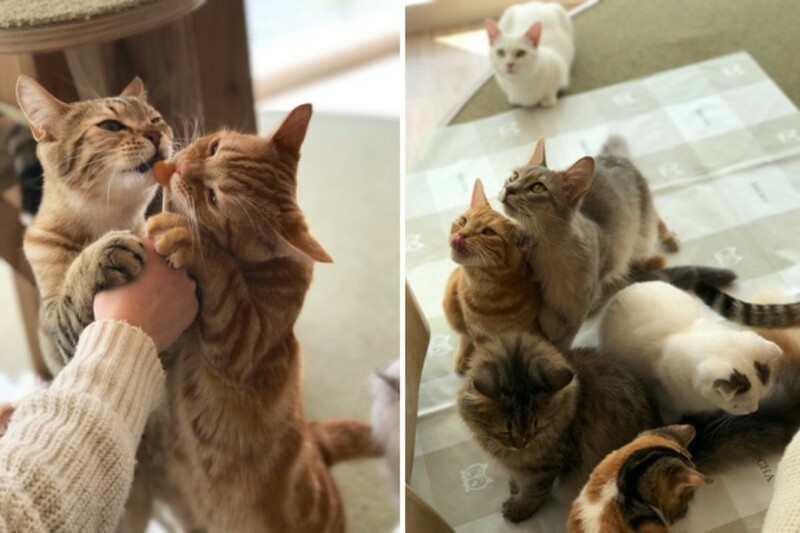 I loved how friendly and sweet all of the cats were, though I had a special connection with the white cat in the bottom right photo. Our stay at a Ryokan. 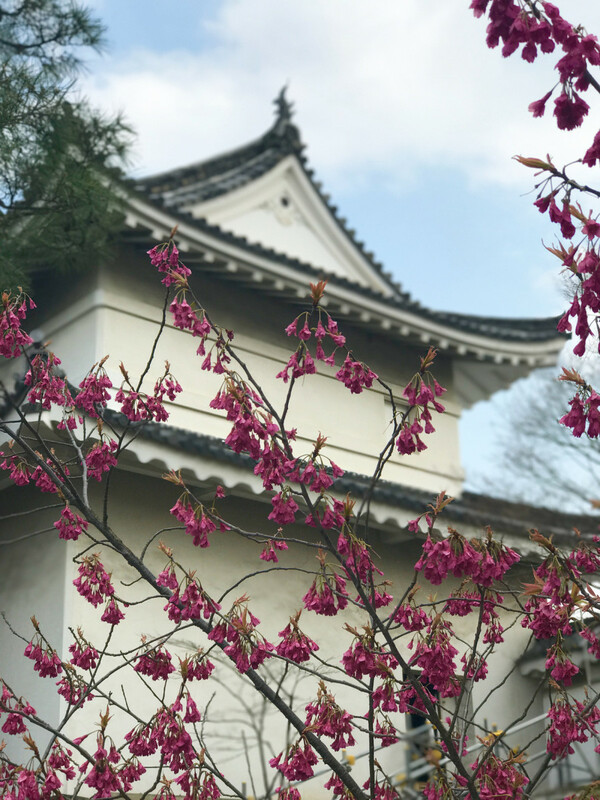 One of our best decisions was heading to Kyoto for two nights, which is a quick bullet train ride away from Tokyo. 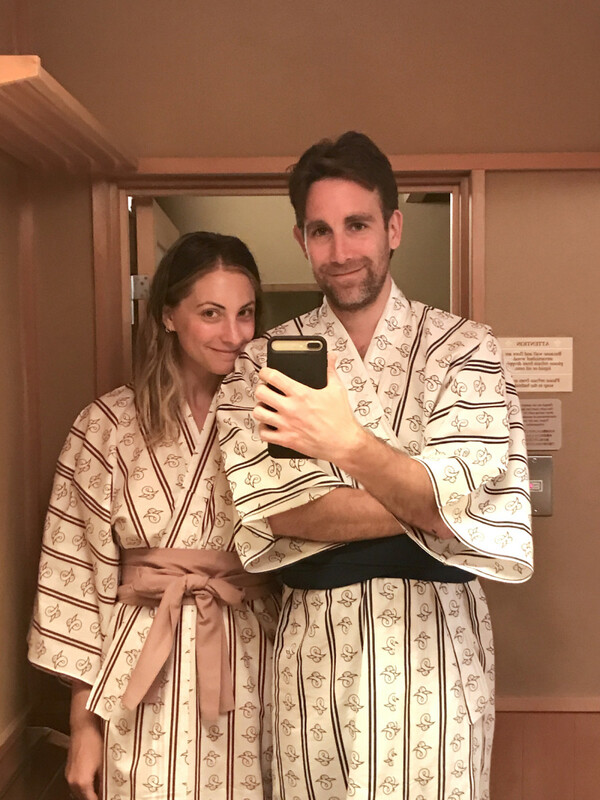 We stayed in a Ryokan, a traditional Japanese inn, where we wore yukatas (a kind of light kimono), slept on mats on the floor, and took long soaks in our deep cedar bath. Our "room" was actually comprised of several little areas, all of which were surrounded by a beautiful garden. At first I was almost shocked by just how tranquil and minimalist everything was (especially compared to the fast-paced nature of Tokyo), but soon embraced how lovely it was to disconnect. If it&apos;s something you&apos;re considering, I&apos;d do a bit of research beforehand on the appropriate etiquette, so you don&apos;t run into too many awkward moments of not understanding the inn&apos;s practices. Tokyo Food Show. 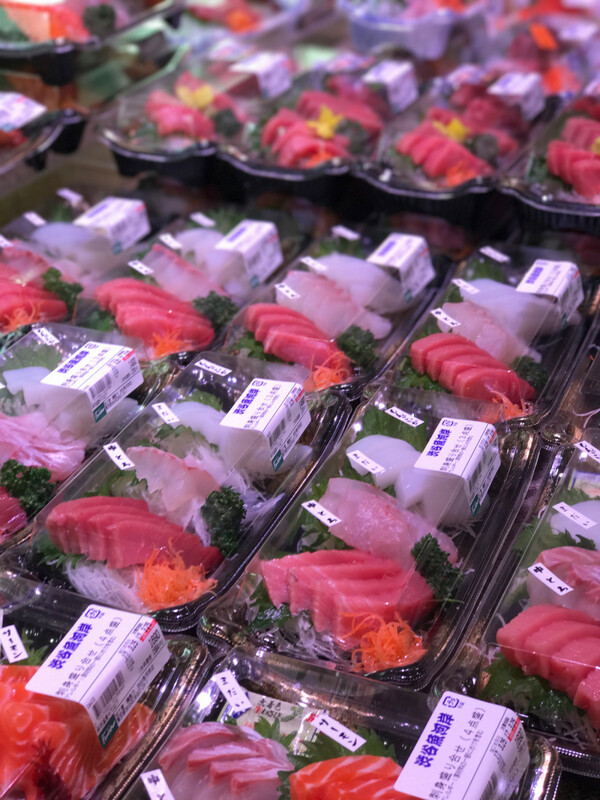 Located in the basement of a department store, Tokyo Food Show is a sprawling emporium of groceries, prepared foods, and packaged treats. We stopped by for dumplings and left with a satchel of baked goods, (light pink!) 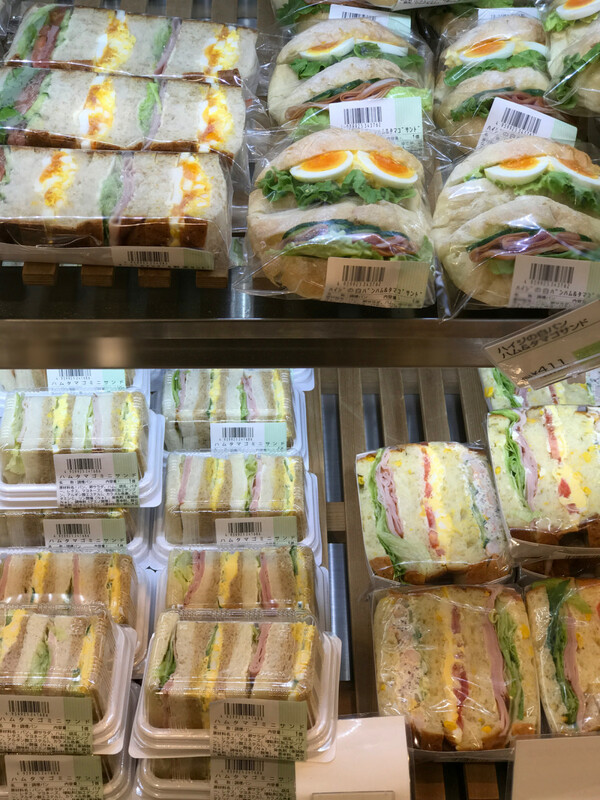 strawberries, delicate sandwiches, and several containers of sashimi. We ended up returning several times since there were so many food vendors we couldn&apos;t wait to try. Monuments. In Kyoto, we went to three sites—Kinkaku-Ji, Fushimi Inari Taisha, and Nijō Castle—all of which were incredible. 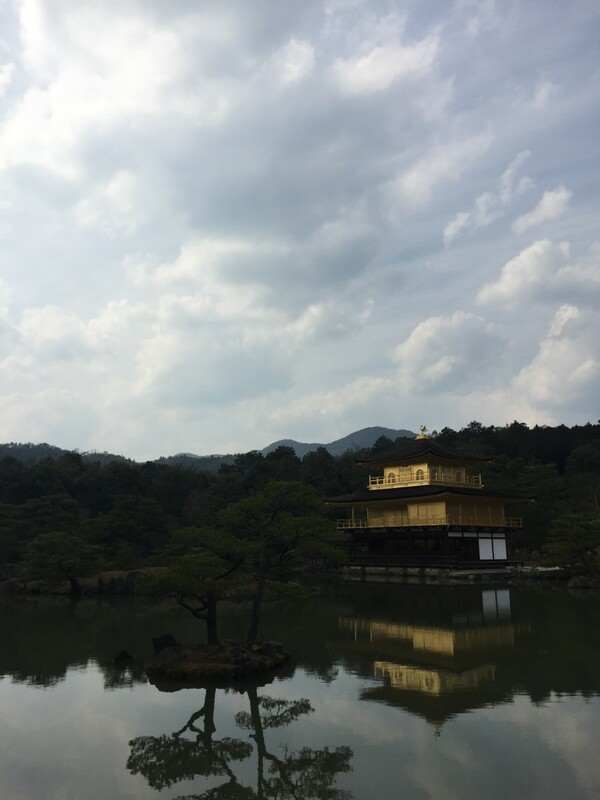 Kinkaku-Ji is a stunning golden palace on lush grounds—the contrast between the opulence of the gold leaf against the serene natural backdrop of the garden literally took my breath away. 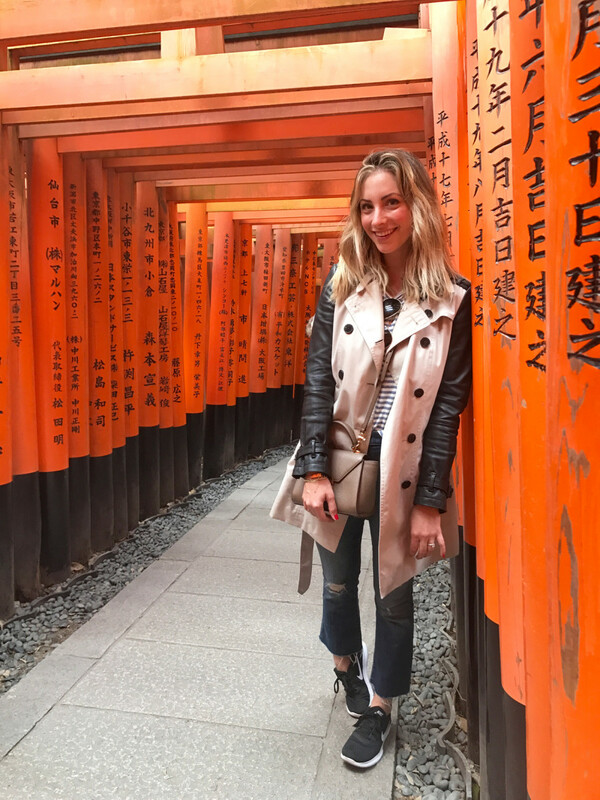 Fushimi Inari Taisha is beautiful in a completely different way—to get there, you have to traverse through a winding corridor of "torii" that snake up the mountain. The color is so bright and unnatural, but at the same time, it goes perfectly with the landscape. Nijō Castle, on the other hand, is minimalist, but just as special. Everywhere you walk, there are wooden floorboards they call the "Nightingale Corridors," because the squeaking of the boards mimics the chirp of the bird. This may sound annoying, but it felt almost hypnotically soothing as we walked around the moat that used to defend the building. It&apos;s worth mentioning that there were a lot of people at each spot, but not enough to dampen the experience. 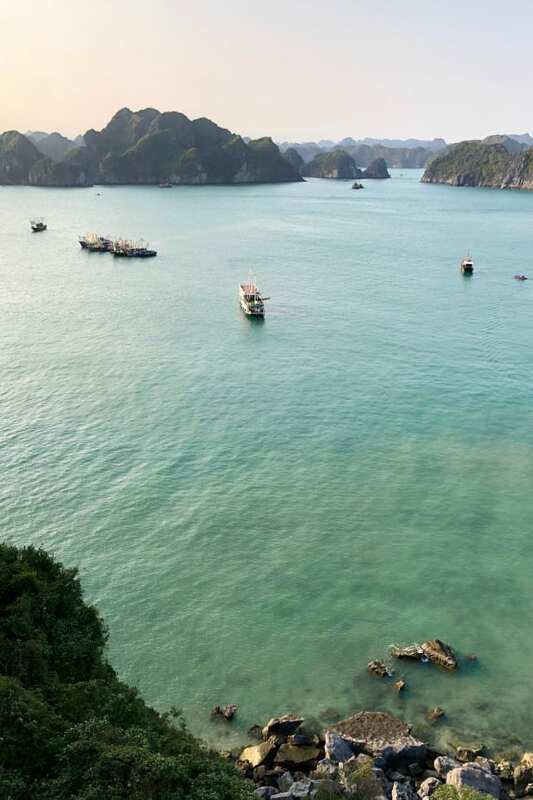 You&apos;re still able to feel a connection to the nature and the cultural significance of each space. Shopping. I didn&apos;t do much research in regards to shopping, aside from writing down a few recommendations from friends. 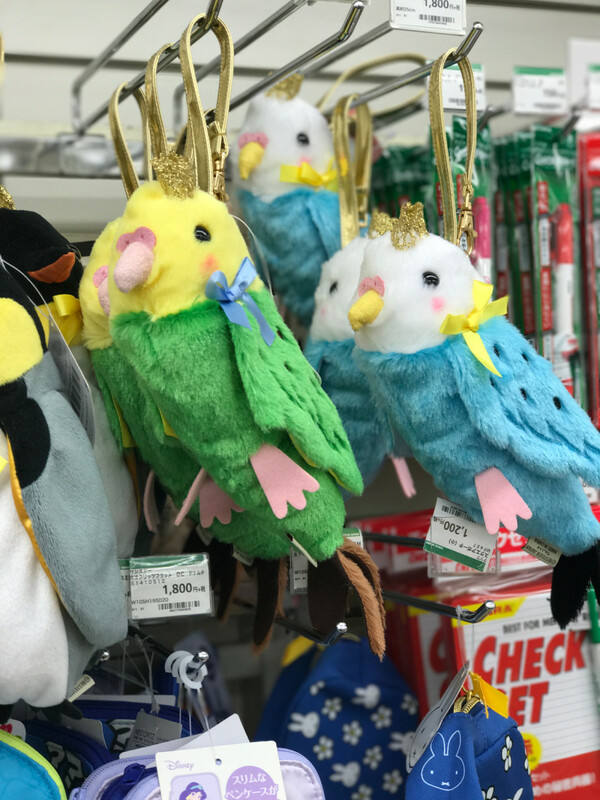 We went to Tokyu Hands, a fantastic multi-level store with endless pen options, stationery, and home goods. 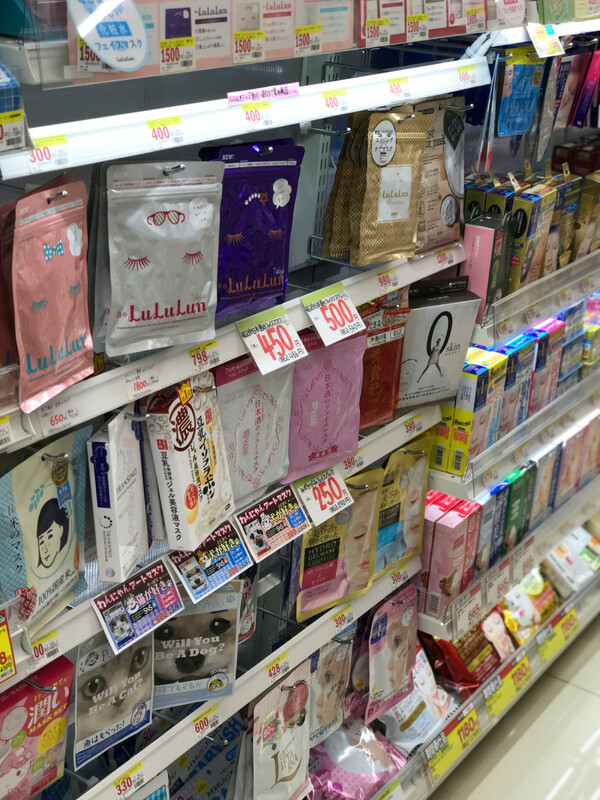 Regular drugstores provided inspiration down each aisle, from unique candies to hundreds of colorful beauty products. Since I saw so many girls wearing what looked to be subtle, berry-stained lips, I swiped up multiple glosses in hopes of achieving the same look at home. 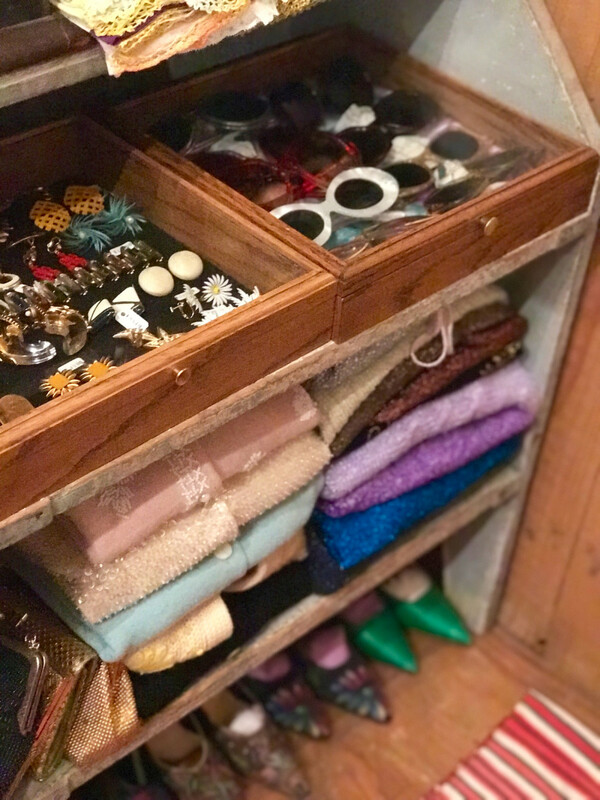 Another friend told me about J&apos;Antiques, one of the most famous vintage stores in Japan that serves as inspiration for several major designers. I didn&apos;t end up buying anything (I blame my severe jet lag), though I loved walking through the multiple little rooms. 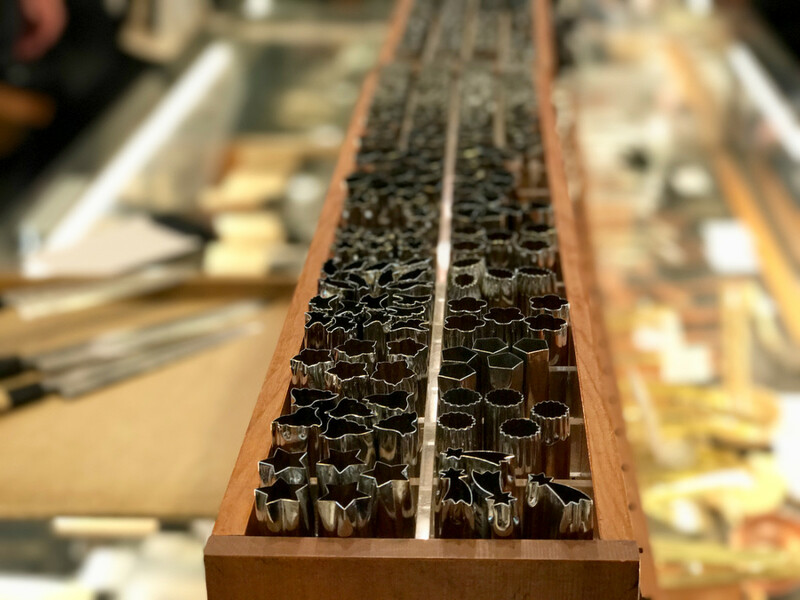 Okura, a stunning store specializing in Japanese indigo and designs, was one of several cute boutiques I enjoyed while walking around Daikanyama. Packing/Weather. 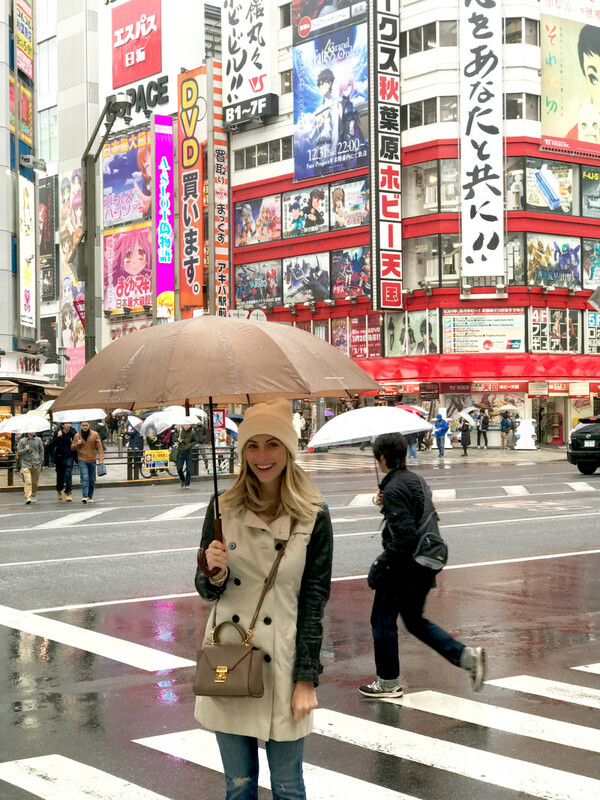 We&apos;d planned for chilly, somewhat wet weather while in Japan, but didn&apos;t anticipate just how cold and rainy it would be. It certainly put a damper on things (pun intended), only in the sense that it&apos;s not as fun to traverse a massive city when it&apos;s miserable outside, but that made it all the more fun to tuck into tiny ramen shops. There were also a couple days that were sunny and warm enough to walk around, though they were few and far between. Somehow, I packed perfectly for perhaps the first time in my life. I stuck to pretty much all neutral tops that I could layer and the same went for bottoms (all of which were cropped just slightly so they wouldn&apos;t be dragging along the wet sidewalks). 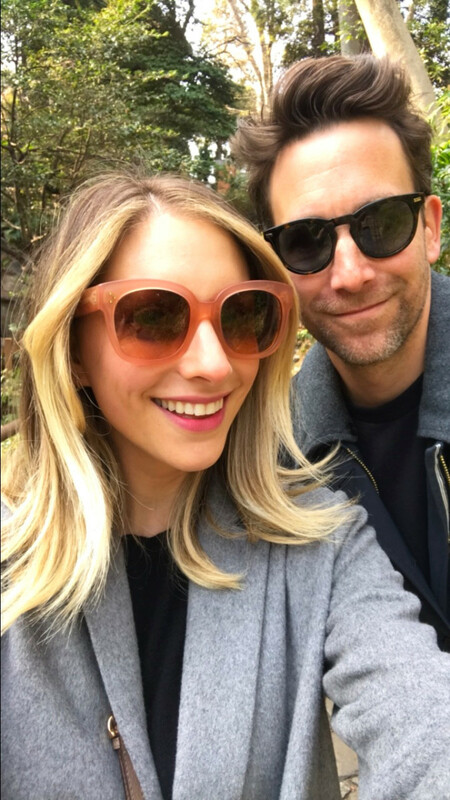 As for coats, though I certainly didn&apos;t need a whole arsenal, I ended up packing three (my leather-sleeved Burberry trench, a gray Cupcakes and Cashmere coat (similar here) and a lilac, Elizabeth and James one) and it made getting dressed a bit more fun. I also didn&apos;t bring any heels, which felt weird, but everyone advised against it, and I&apos;m glad I listened to them. Instead I had two pairs of running shoes - tan Nikes (similar here) and these black ones that I wear to work out - and two pairs of boots - one tan (similar here) and one black. We walked about 8 miles a day (a complete necessity given how much we ate) and I&apos;m happy to report that I was comfortable the entire time. Kawaii. This is a term in Japanese popular culture that refers to things that are extremely cute or adorable. 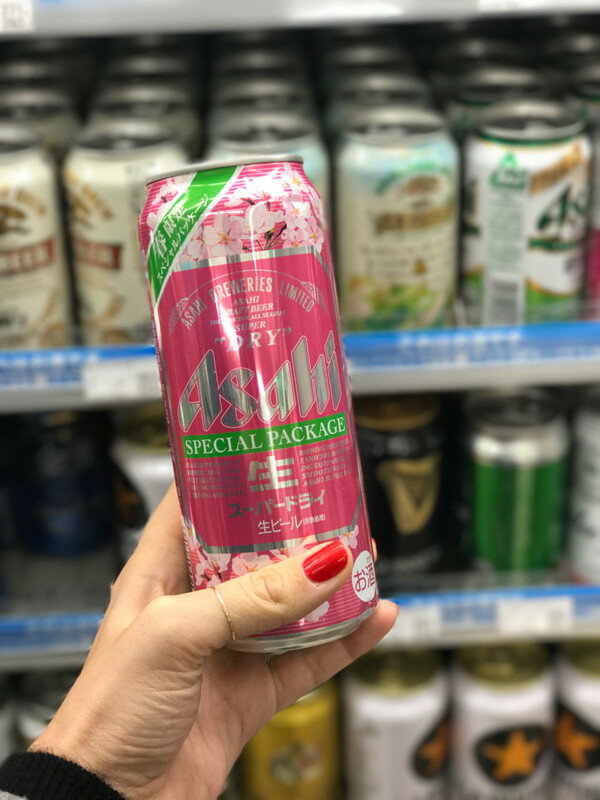 It&apos;s literally everywhere: whether in how food is packaged (even beer cans are pink with flowers), parrot pencil cases, or teeny, tiny shooting star cookie cutters. Our Stay in Tokyo. 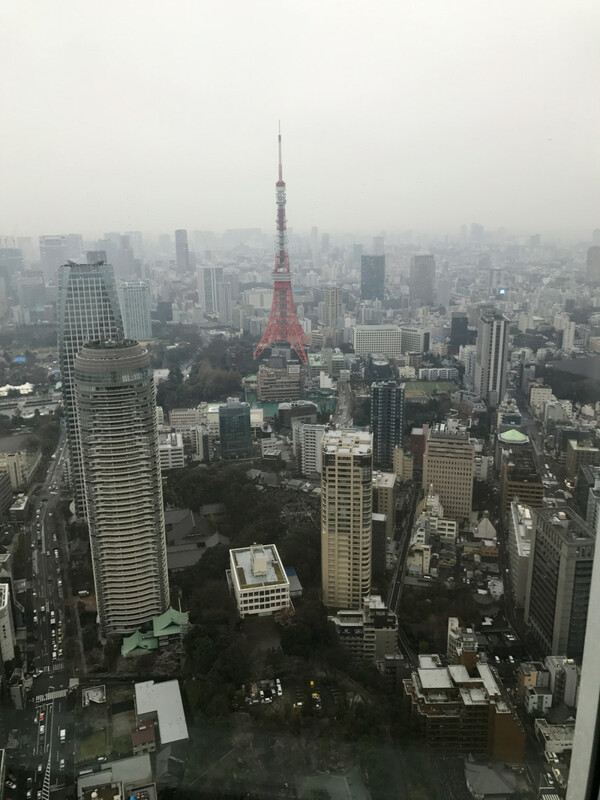 For the first five nights in Tokyo, we stayed at the Grand Hyatt. 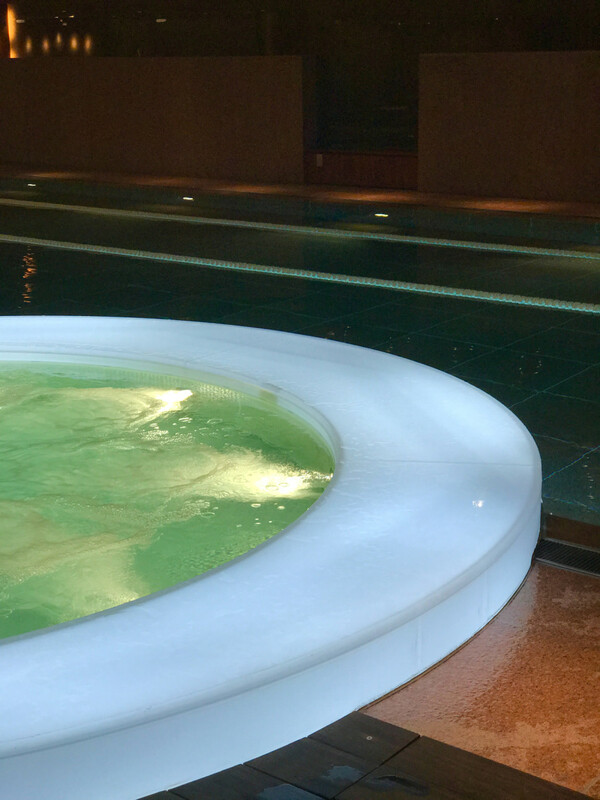 It was a lovely experience—the service was excellent, the room was large, and the tub deep (one of my favorite things about Japan). We had access to their Grand Club lounge, which included breakfast each morning, which was great since we were up suuuuper early (sometimes by 1:30 a.m.), so we&apos;d practically fall through the door as soon as they opened. For our last night in Tokyo, once we&apos;d returned from Kyoto, we decided to try out the recently-opened Andaz. 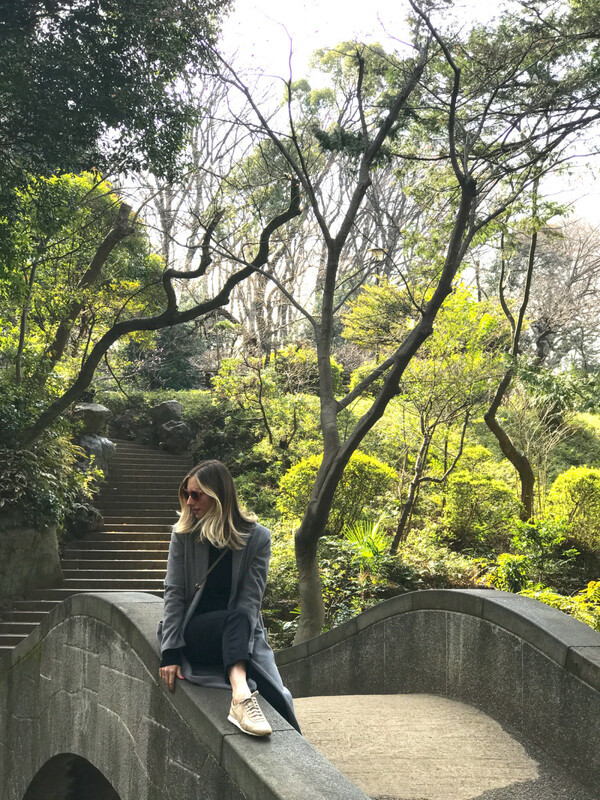 It was a stunning property and the rooms were sleek and full of fun details (like cute snacks, a perfectly packed box of essentials, and a crazy good view of Tokyo Tower). I&apos;d highly recommend either of the two spots. How To Approach Tokyo. Before leaving, G made an impressively detailed map with all of the food and drink spots that had been recommended to us. This proved to be even more helpful than usual since we couldn&apos;t read a lot of the signs for restaurants we&apos;d heard about, but could figure out where they were based on our map (and the lines of people outside, typically). I do wish we had been a bit more strategic about our planning. In Paris last year, we were so insanely scheduled that it almost felt more stressful than anything since we were constantly shuffling between meals. 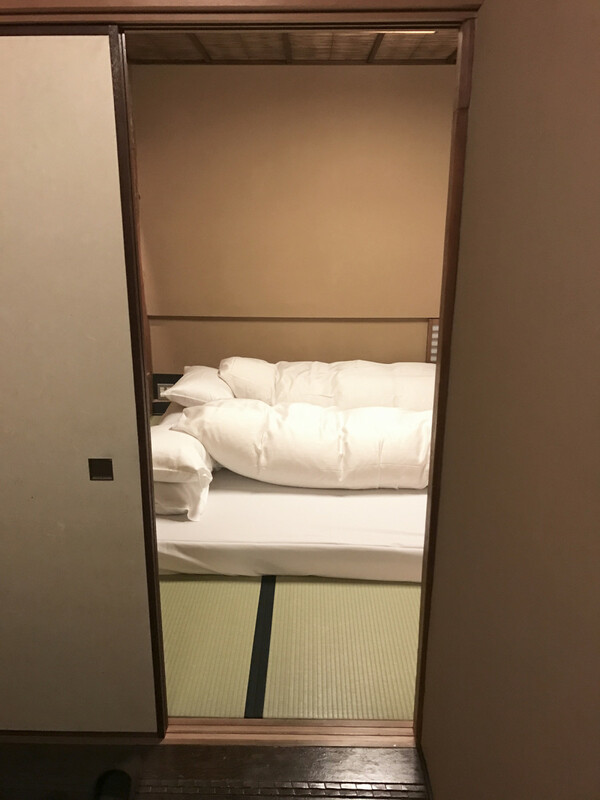 So for Japan, we only made one reservation the entire trip, which felt almost too relaxed and flexible. In the future, we agreed to a happy medium that will include a few planned things sprinkled throughout, but that will still allow us to sleep in/do nothing/drink in the middle of the day. 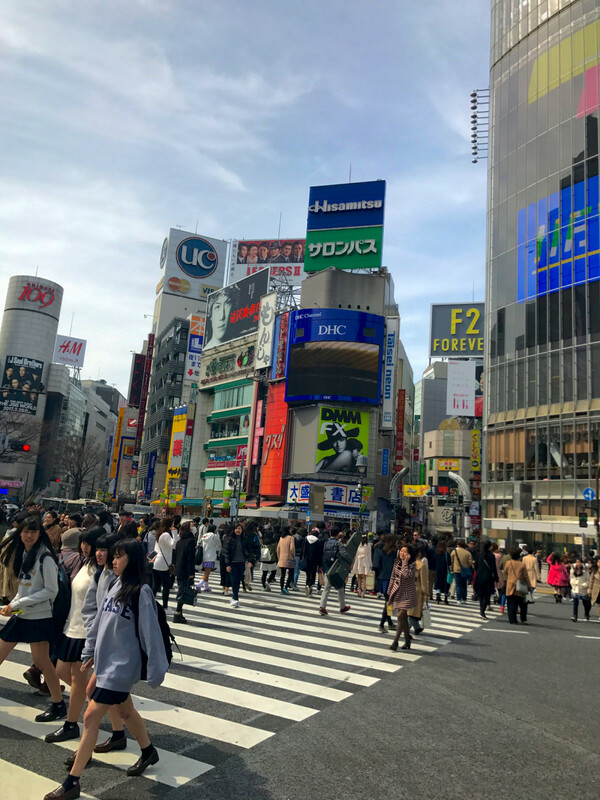 Additionally, Tokyo is so huge and feels like such a big undertaking that we found ourselves almost paralyzed when it came to figuring out what to do each day. 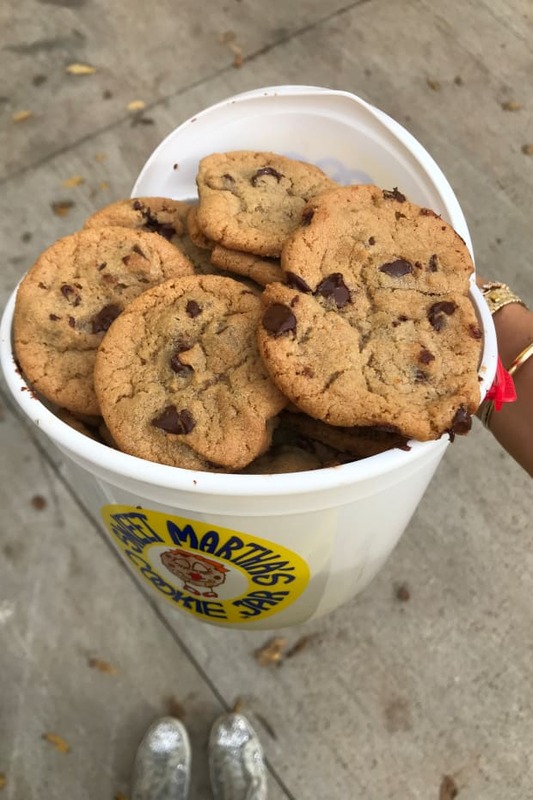 If we were to go back, I&apos;d tackle one or two neighborhoods per day and then figure out a variety of sights to see, places to eat, and shopping spots in that specific area. Trains and Subways. I had initially been freaked out by the idea of trains, since they&apos;re not something we&apos;re accustomed to in L.A. and I&apos;m not great in small, crowded places, but we figured it out on the third day and it was a game-changer. Plus, everyone there was beyond helpful for those times we got turned around (on one occasion, an elderly man literally walked us down to the correct platform). All of a sudden it felt like the entire city opened up and that we could see way more than we originally thought, especially since cabs were so expensive and walking in the rain wasn&apos;t ideal. We relied heavily on our Maps app, which told us the lines to take so that all we had to figure out was how much each one cost and where to stand for our train. I also highly suggest renting a WiFi hotspot so you can stay connected while you&apos;re there (we ordered one that we had delivered to our hotel so it was there upon our arrival). Besides Maps, the other app we relied on most frequently was Google Translate, which lets you take a picture of foreign text and then (roughly) gives you its translation. 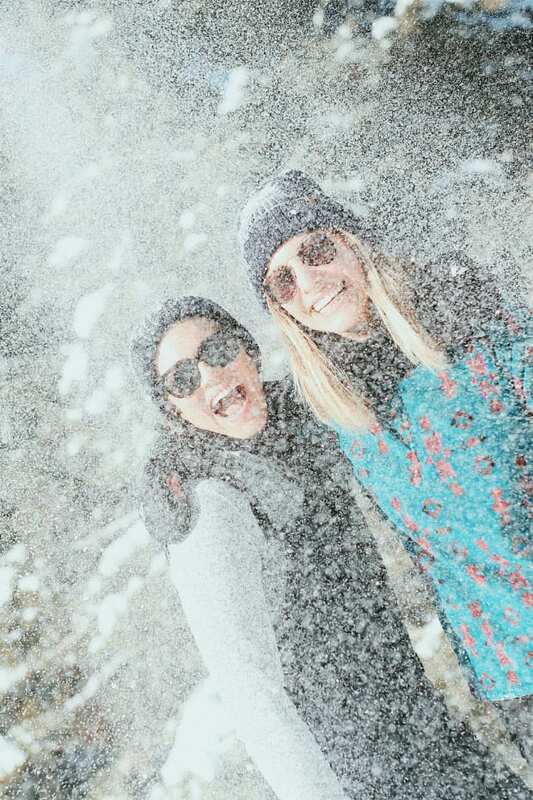 Very few people wear sunglasses. A lot of restrooms don&apos;t offer paper towels or hand driers. After several days of shaking my hands dry, I noticed that a lot of women keep their own personal little towel with them in their hand bags. Because their currency uses a lot of coins, you will have a ton on you at all times. G&apos;s pockets were constantly overflowing with yen. When you hail a cab, wait for the driver to pop the door open for you (and then close it once you&apos;re inside). Same goes for the end of the ride. Once you pay, wait for the cab driver to open and close the door again. There are very few trash cans, yet we hardly saw any litter on the streets. 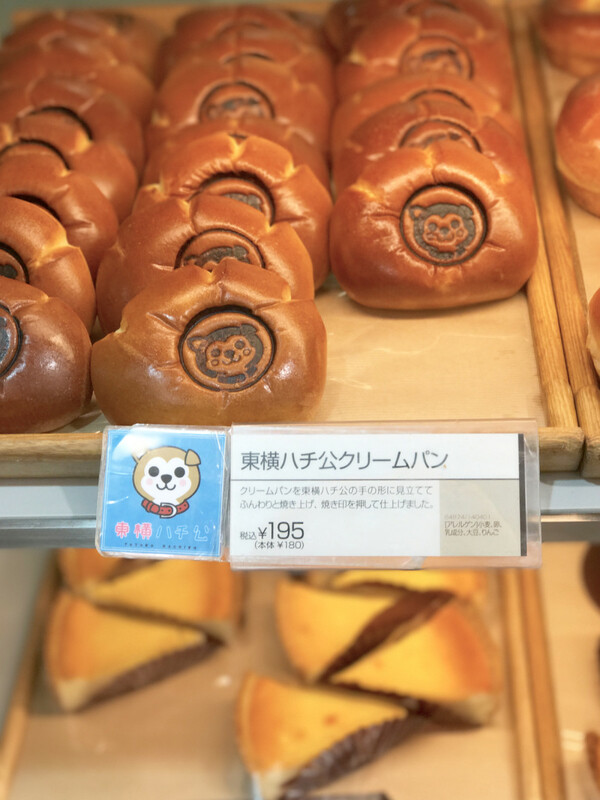 Convenience stores are incredible and so different than what we have in the U.S. We went there for everything from quick snacks (sushi, little sandwiches, etc.) to picking up things like museum tickets we&apos;d purchased ahead of time (we loved the David Bowie show we saw). They also had both a cold bottled drink section as well as a hot bottled drink section for things like teas and coffees. It&apos;s considered impolite to eat and drink on the go. We made an exception only a couple of times when we were particularly hangry and tried to be really discreet about it. P.S., On Monday, I&apos;ll be sharing everything we ate in Japan, including one of my very favorite meals of all time. Stay tuned! P.P.S., You can also see what I ate in Paris last July here.